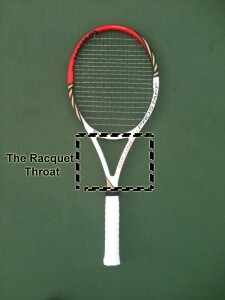 Just like the human body the tennis racquet has many named parts. In fact many of the parts of the tennis racquet are named after human body parts. 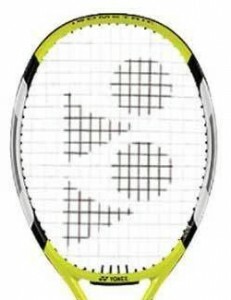 Throughout the various courses on this site we will make mention of various parts of the racquet so it is important to know them. 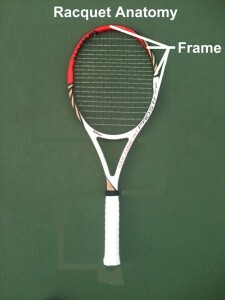 The frame of the racquet can be made of various materials. 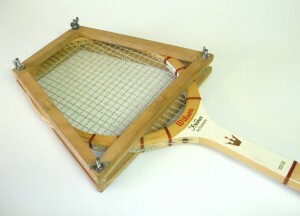 Aluminum racquet are generally for beginners. 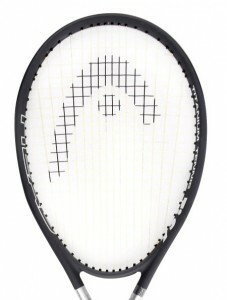 They are relatively heavy and tend to bend quite Aluminum racquets are not a good option for anyone beyond a beginner level. 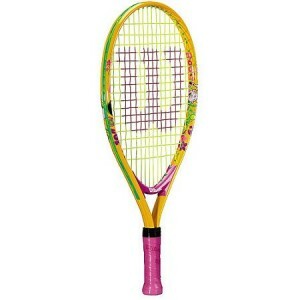 Most children’s racquets are made of aluminum because of there durability. 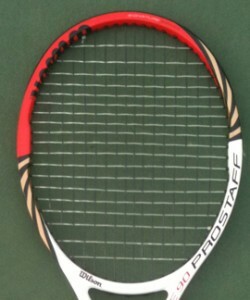 Children can be rough on racquets and the more advanced racquet materials are far more fragile. 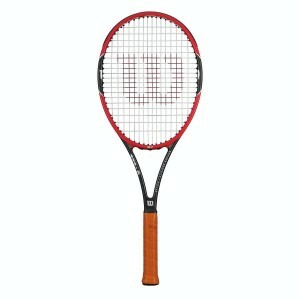 Several adult racquets are also made of aluminum, but most are now made of more advanced racquet materials. Aluminum racquets are relatively inexpensive so they are a great option for someone who wants to try the sport but doesn’t want to invest a lot of money right off the bat. 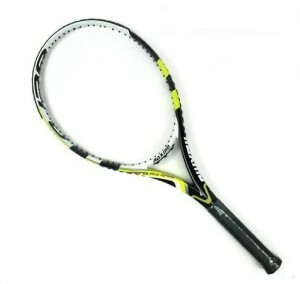 Recently, a many new racquets started being made from a very strong, extremely light material called titanium. Titanium is similar to aluminum. Either aluminum or titanium is an acceptable choice for beginners. 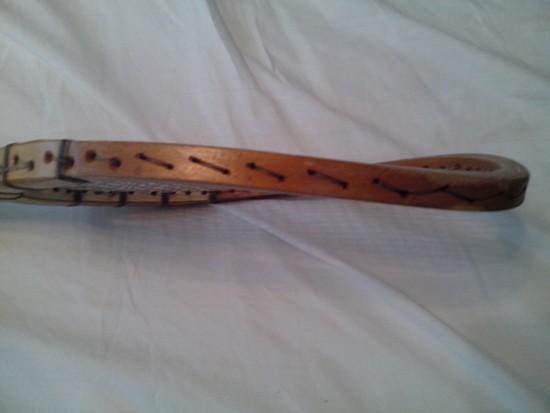 The racquet handle is the part of the racquet that the hands are placed on. 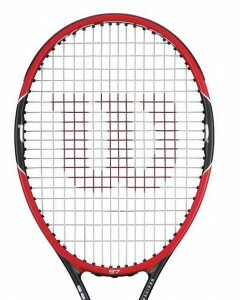 Most racquet handles are octagon shaped with 8 bevels. The size of the grip can vary from 4 1/8th to 4 5/8th of an inch. Technically its the length between the middle crease of your palm to the tip of the longest finger. Grip size is a matter of personal preference but if the fingers and thumb don’t meet or the fingers wrap around the grip to touch the palm, the grip size is not optimum. If ever confused between two grip sizes always go for the smaller one, you can always take the help of over grips.